Giveaway: Yale Easy Fit Alarm... No Wires, No Fuss! Home Giveaway Giveaway: Yale Easy Fit Alarm… No Wires, No Fuss! As you may know from my previous post I do have slight OCD when it comes to security! Fitting an alarm to your house is one of the easiest and most simple forms of home security. Installing an alarm is so much easier than you would expect, especially with the Yale Easy Fit Alarm priced at £219.00. 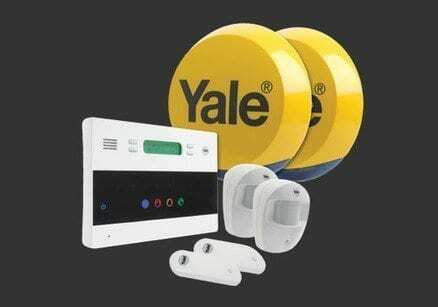 Yale have a fantastic range of home security systems and home burglar systems. There is no need to worry about marking walls, laying cables or even hiring a qualified electrician to install the security device. The steps are very simple and all instructions are included. For a chance to win a Yale Easy Fit Alarm System simply leave a comment below and tell me who does the DIY in your house! 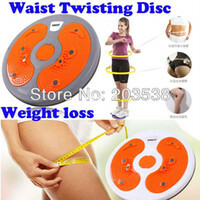 The giveaway will end at 10pm on Monday 11th February 2012. Entries after this time and date will not be counted. UK only. No automated or bulk entries permitted. Maximum of two entries per entrant. • Yale and Sim’s Life do not accept any responsibility for late or lost entries due to the Internet or email problems. Proof of sending is not proof of receipt. Entrants must supply full details as required on the competition page, and comply with all rules to be eligible for the prizes. • Unless otherwise stated, the giveaway is not open to employees of: (a) the Company; and (b) any third party appointed by the Company to organise and/or manage the giveaway; and (c) the giveaway sponsor(s). • This competition is a Yale Security Device promoted by Sim’s Life. Sim’s Life decision is final in every situation and no correspondence will be entered into. Sim’s Life reserves the right to cancel the competition at any stage, if deemed necessary in its opinion, and if circumstances arise outside of its control. • Entrants will be deemed to have accepted these rules and to agree to be bound by them when entering this giveaway. • Prizes unclaimed after 10 days will be deemed to have been forfeited and Sim’s Life reserves the right to either offer the prize to the entrant whose name is next drawn at random. My husband does some DIY but usually it’s my father. I normally have to pay and get someone in to do it, my hubby never does it! my husband does all the diy…………..then we have to get someone else in to fix his attempt…..
My hubby attempts things then I call in proper trades people! My husband is brilliant at DIY but I’m hopeless & cause the most damage. Me cause I dont trust my husband! I do all the DIY in this house! It’s actually my mum as my dad is so impatient he gets nothing done and ends up blaming the product itself or the ‘poor’ instructions as he would say. My girlfriend does the D.I.Y in our house. I’ve ruined too many things, so I’m not allowed anymore! Me, im the only adult here! For very basic jobs I do them, however anything more than this I get my mate to do it. The husband, if I did it the house would explode. I do all the DIY which is why I hope that the walls won’t fall down when I attach an alarm box to it. I do all the DIY – but I know my limits ! My partner does it – badly, I normally try and rectify it only to make it worse – and we end up getting a professional in to fix our mess! Happily my husband is an absolute DIY wizard. I do most DIY with some help from friends and rellies. hubbie does it- im useless! Usually my Dad still comes round and does it – my husband is not that handy! I’ll always give it a go, but sometimes need to bring in the professionals! Myself and believe me, I’m no expert but as I don’t have anyone to ask then I have to do the best I can (and have learnt remarkable patience in doing so lol), especially with 4 sons who always seem to find ways that require my ‘patience’. Me – my husband is terrible! I do, and to be honest I’ve always done it. I enjoy doing it and I don’t trust anyone else to do it! I’m a single mum and live with my parents so my dad does it all! Me and mum clean and cook and dad does the diy! I do the DIY at home….although not always that well, lol. We do it together (cough cough) ok – the royal we ! My husband does most but I make the tea ! I do it – but there’s always something isn’t there !!! I try but usually my father in law makes it good!! Me, me, me- I do it all, and even b4 she nags me!! No-one! But I am nagging the Hubster to start! I would say myself and my partner share the DIY 50/50. He does the emergency stuff and I suddenly get it into my head to paint a room! My husband usually does, but he is trying to teach me so Im not so useless at it all! Me – and I’m a perfectionist!! My Wife does the DIY, my last attempt made me see the red mist and I took a Sledgehammer to our walk-in-wardrobe…so yeah…ive been banned from that. For better or worse i have a go! I live on my own so i guess its me.. I do the DIY in my house because my partner works abroad and nothing ever needs fixing when he is here in the UK! I do the DIY and I am quite good even if I do say so myself! I Do DIY and love a challenge! I sometimes get help from my neighbour with my DIY but try to do what I can generally! I do everything except plastering – hopeless at it! My boyfriend does all the DIY. I try to do it myself but always end up having to get my Dad to come over to help! I do most of the DIY in our house! We do DIY together with my hubby, already spruced up half of our first house. My amazing Husband who has just renovated our new house with very minimal help! My missus does the decorating and DIY. . she’s brill !! I end up doing it all! i try to do the DIY in my house!!! My Dad does all the DIY! I do all the DIY my OH is not too good at it. My husband does quite a bit but he can’t manage to do anything without someone to hold the ladder, steady anything he’s cutting, pass things to him or paint the fiddly bits while he is doing the large areas. Then of course he doesn’t expect to clear up any of the mess. I do,wife doesnt know waht DIY stands for,….. It used to be my husband until he became a bit infirm. Now, I have a go at decorating and simple plumbing but usually end up employing a tradesman! I do most of it, the hubby is not very handy. Me. Although I wish it wasn’t. Have to be honest, definately my husband! Hubby calls his dad and he comes over to do our diy! I do it when my wife threatens to pay someone to do it. I do the DIY with assistance (and direction!) from my lovely wife! My husband does the heavy stuff but I do the painting and hang wallpaper. My OH always does the DIY, i don’t trust myself doing it, ha! I do the DIY in our house. Well I *try* to! Unfortunately, very little DIY gets done in our house – we usually have to pay someone to fix it if we try! Usually have to pay someone to do it. The nice man down the road. I do it with the Mrs giving the orders. Split between my girlfriend and i. Its a joint effort from myself and my partner..well at least I like to think so it usually consists of me dictating and him doing hehe. I do/make/build everything and then my wife paints it. It’s all me, I tell you! I must be the only husband on here….! Most of the time it’s me, although my son is in training! Unfortunately for my wife and me, I do the DIY. Anyone can do their own DIY, it’s just takes for bloody ever!! Bought a project house almost 2 years ago and I’ve still got so much left to do. And seeing it was I who convinced the mrs to get the project and said I could do it all up myself, it’s safe to say she’s not a happy bunny (and now a very pregnant bunny at that!). It’s a joint effort in our house. We’re both quite handy and actually quite enjoy it, which friends and family find a bit odd! Always my husband…I wouldn’t dare attempt myself! my hubby would like to say him but its my dad! My hubby reckons he’s the expert, but I end up doing most of it! My husband does try bless him, but DIY is not his forté, so it tends to be his friend H who does the DIY in our house. My husband is our diy-er! my husband and I work on it together. He does all the major stuff, and I do the donkey work. I do my best to do it as cannot afford to pay people. My hubbie and I work together – aah – he does the lion’s share and I make the tea! I ‘try’ to do the DIY & normally do a okay job after a good google. I used to do most of it but my son helps out a lot these days! Well if you want something done – yes I now do it all myself. I do it all and i dont do a bad job either. I do it all – at least the jobs I can do. I do all the DIY…Daddy gets invited round if it’s too difficult though! I do as much as I can ! I do, or it doesn’t get done! I do the DIY in our house but wish I was a little more patient and better at it. I normally do the DIY. It’s quite satisfying when I done. I do all the DIY!! I do all the DIY in our house , from plugs to wireing up the Kids bedrooms up for internet access and decorating. I do, my hubby supervises. its a joint effort in our house! Both me and my fiance do. BADLY! We are like a cross between the Chucklebrothers and Frank Spencer. My other half starts the DIY and I often end up having to finish it!!! My husband *starts* the DIY. And then I get a man in to finish it off. My husband tries but usually fails miserably! We both do the DIY – it usually works out that hubby fixes things and I decorate! I ask hubby to do diy but it normally ends up being left or me trying to attempt it. But if I have to ask more than once it’s classed as nagging ! the only DIY I do in the house is cook! Thes rest is left up to the other half! My friends Kevin and Richard, because I’m rubbish at it! My son does the DIY in our house. I would love to do it but just not got the ability. I do decorating, anything else I call my dad or brother in. My husband does the DIY, although not always very well…. I do with the help of the internet! It is usually a joint effort in our house. It’s a mixed effort. I do the painting, and he does the stuff that involves sharp tools and some precision! My Partner does our DIY but does take some persuading!! My dad and my brother share the duties! Usually my father in law, or me. My husband is useless! i like to attempt DIY in our house and have had some success in fixing the front door & the tumbledryer but have had loads of disasters also so my partner tends to ring a handyman when im at work to come and fix things!! My husband, although I do try where I can. my lovely boyfriend does on the DIY, one of his many attractions! Mostly my partner but i always help and I enjoy it! My other half does most of the DIY, with me helping as much as can. Unfortunately it would be me, if I ask hubby it would never get done! I have to hire someone in… for everything!!! My husband. Fortunately he a) seems to enjoy it and b) is good at it. Because I am as useless as can be! My partner does all the DIY and I do all the cleaning up afterwards! My wife – I’m rubbish at it!! My dad comes round to do it hes very good at DIY! My flatmate does all the DIY! I do most of the DIY at my house apart from the heavy jobs that I start and then he has no choice but to finish! I have to do it all! I have a go but with the backup of my dad. My Husband does all the DIY, i usually have to hold the ladder!! I do it – very badly – and then my husband coems along and puts everything right again! I do a bit of DIY but get bored easily, so I make my husband do it! I do all the DIY in our house. My other half does the DIY – of course he would say there’s nothing he can’t do! I am the one who knows how to do the DIY in our house but my husband is the one with the strength needed to do most of the jobs. I do most the smaller diy tasks, but I do have to ask Dad for tips before hand and he assists with the bigger jobs around the house. This sounds a fab alarm kit and easy to set up. Mostly my partner as I’m not very good with the DIY! i do all the DIY, hubby has got better but ! The DIY is shared between hubby and me, he does the tall bits and I do the small bits! in my vocabulary d.i.y. stands for don’t involve yourself so i leave it to the wife !! I do the DIY in the house……….not very well in the slightest but at least I try! My husband does the DIY – and when he does we all know about it! My partner Darren does the DIY although hes not very good at it! Mind you hes better than me! My dad and father in law do some bits and the rest is done by whoever we get in. I don’t really trust my other half to do much. My husband, Richard does all the DIY, I am absolutely clueless!! Me! There’s no man in my life currently so I’ve had to learn to get things done myself. my husband trys…. my father in law trys too!!! I live on my own, so the DIY is all down to me. My husband tries, but I’m thinking of taking it over! My husband or my dad! My father does the My DIY for me as i’m as much use as chocolate firegaurd ( According to my Fiance anyway lol)!!! I do all of the DIY and it’s made a LOT easier with your website let me tell you! Mainly me, other half helps now and again!! I really like doing it – it takes me an eternity to do stuff because I am a bit of a perfectionist but worth it in the end! my hubby does the DIY in our house, with my 2 little boys watching usually! I do all the research and the groundwork (including the nagging) and my husband eventually does the work! My husband but he’s no good at it!! My Husband does what he can and then we get someone else in who knows what they are doing. me and my daughter – girl power in our house! I do it all myself although not the best. My darling husband does all the diy..
my dad, he refuses to let me! I am usually better at DIY because I have more patience. Hubby does all DIY with the help of his able assistant – me! My husband does the DYI!!! I do all the DIY in our house. My partner likes to take his time doing things so I would rather get on and have a crack myself at least. Ok some of the blinds are somewhat wonky but you’d never know from outside and the curtain pole is held up by no nails glue but hey its working! I do most of the DIY and when I don’t do it, I tidy the mess left by my wife after she’s done some DIY!! I always did the DIY in our house but now I am disabled and can only manage very easy tasks. We now tend to leave things as far as possible then pay for jobs that have to be done. The one who wears the trousers does our DIY. I’d like to say it’s me, but have to admit it’s my hubby! I do the DIY, but its not great!! – Hey atleast I am honest! My husband attempts to do the DIY in our house. My boyfriend – im useless! I am very lucky in that both my dad and father in law are very handy and help us out a lot with DIY. I am a complete novice but still do bits. I myself do the DIY around my household. My dad does all the DIY and no i don’t live with him 🙂 my husband is just useless! Me, Me and sometimes me. I do all of the DIY in my house, unless it’s electrical or plumbing then it’s the professionals! My other half and myself share the duties.